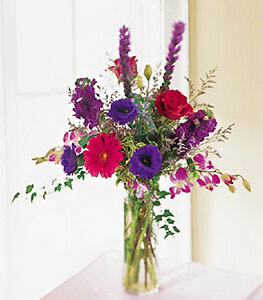 This striking bouquet is filled with richly colored flowers. Red roses and red gerbera daisies are artfully arranged with dendrobium orchids, purple lisianthus, purple liatris and more. An impressive gift for any occasion.